x) Gonna go to bed soon,loves py. I love ADD MATHS ! Paper 2 section A is super hard rated for above 17 section B i did 4 questions and section C i did 3 questions. I hope it will help me getting a B or A- better than nothing. SPM is so fast,three more subject and i'm done my form 5. Finally,science subjects biology,physics and chemistry papers,those 3 papers in a subjects. Did you hear about microdermal piercing before? 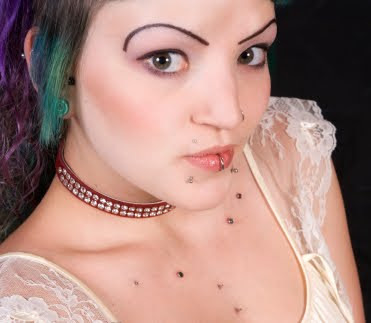 Microdermal piercings are permanent body piercings. You will also hear them referred to as dermal anchoring or microdermal implants. Microdermals look pleasing and aesthetic and are rapidly becoming very popular. They are considered a cool alternative to surface body piercing because they are permanent. They are quick and convenient.